For the first time ever, Topsoe researchers have made the Co-Mo-S catalyst’s crystallites — that are only a few nanometers wide — visible to the human eye. The Co-Mo-S is the scientific term for the active part that is found in Haldor Topsoe’s series of TK catalysts that are used by oil refineries all over the world for a range of different applications. Lyngby/Denmark – According to Haldor Topsoe, the obtained images disclose detailed knowledge about the structure of the catalyst and have been achieved following decades of attempts. The research could mean more efficient catalysts for oil refineries in the near future, promoting a cleaner environment and helping industry to deal with increasingly tight and more stringent environmental legislation. “These first-ever images show exactly how the individual atoms in the catalysts are arranged. Knowing how the atoms are arranged in the real catalysts helps to explain what makes a catalyst good or bad. In particular we need to know the exact position of Co, as that element is a spice that really makes the catalyst stand out,” says Stig Helveg, senior research scientist in Topsoe and one of the authors behind the Angewandte Chemie article. “Such images are very difficult to obtain and at the edge of what is physically possible, simply because we need to distinguish each and every atom in the crystallites. We have therefore worked for a long time with Dr. Quentin Ramasse at the Superstem facility in Daresbury and Dr. Christian Kisielowski at Lawrence Berkeley National Lab. Especially Quentin has a highly sophisticated microscope available that made it possible to obtain these first-ever images,” continues Stig Helveg. Having the right microscope available, however, is only part of why the researchers were able to produce the images. 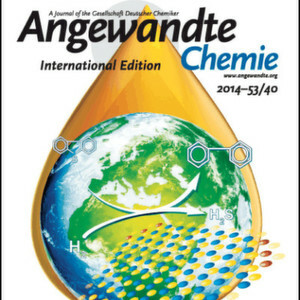 Equally important has been the close collaboration between Topsoe’s researchers and Christian and Quentin over the last five years, which has now led to the third out of three cover-page articles in Angewandte Chemie.